We’re just two weekends deep into the conference season and only three unbeatens remain, one of which is guaranteed to lose on Tuesday. Buckle up A-10, it’s going to be a wild ride of a season. I know what you’re thinking: “How is GW struggling, they’re 12-4?” Quite frankly the Colonials have been flirting with a loss like this all week, just narrowly escaping Saint Joseph’s and a (let’s be honest) bad Saint Louis team at home, the combined margin of victory in those checking in at seven points. La Salle wasn’t about to suffer the same fate, holding GW to just 10 field goals inside the arc (15 total) while turning the Colonials over 20 times in the Explorers best win to date. Of those 20 turnovers, Kevin Larsen, Joe McDonald and Kethan Savage combined for 15. You just can’t have that type of performance out of your key guys and expect to beat good teams on the road. GW hosts Richmond, George Mason and Duquesne with a road trip to Fordham before heading to VCU on January 27th. They could(/should) be 16-4 before taking on the A-10 preseason favorite but with how inconsistent they have been I won’t be surprised to see them drop one of the Richmond and George Mason games. No one’s pushing the panic button just yet but I’d certainly be concerned with the Colonials performance over these last three if I’m raising high the buff and blue. I love this matchup on Thursday between GW and Richmond because the two clubs appear to be trending in different directions. After falling in their A-10 opener at Davidson (understandable), Richmond has basically hammered back-to-back opponents, first jumping out to a gigantic lead against George Mason before coasting to a 10-point final win over the Patriots, then destroying St. Bonaventure while holding the Bonnies to 0-10 from beyond the arc. I was bullish on Richmond for some time, chalking their losses up to mostly good teams (minus JMU! ), then after consecutive home losses to ok teams, Wake Forest and Northeastern (home losses being the key phrase there), officially jumped off the bandwagon. Fact is I think Richmond has the pieces to do damage yet have underachieved basically since Cedrick Lindsay made his exit from college basketball early in conference play last season. I’ve seen how good Anthony and Jones CAN be but have also seen that team fail to live up to their potential more times than not. The Spiders lost their only meeting with GW last season, 75-65. Guess where? At home. My money will be on the Colonials this Thursday in DC but if you’re a Spider fan these last two performances combined with GW’s recent play has got to at least give you hope that this is the beginning of something good. Quite similar to GW, Rhody fans have got to love this 11-3, 3-0 start but have also got to be a bit less than confident against VCU after seeing how the keaney blue Rams have performed as of late. Rhode Island is 3-0 by the skin of their teeth this week after narrowly winning what would have been disastrous losses to the likes of Fordham (kenpom No.262) and Duquesne (No.233). URI escaped Fordham with a three-point home win then survived Duquesne in a one-point road win thanks to two free throws from freshman Jared Terrell with eight seconds to play. Fact is games are typically tighter against bad teams in conference play (teams know each other’s tendencies, etc) but put two bad games in a row against the bottom of the league — not to mention a halftime tie at SLU — and I think there’s real reason for concern. That concern can disappear quickly with a win against VCU on Tuesday but it can just as easily result in Rhody’s first home loss of the season against a VCU team that you can’t play B and C games against if you plan on winning. We knew there was going to be some serious rebuilding at Saint Louis and Saint Joseph’s but that doesn’t make it any less odd to see the two a combined 0-6 in conference play. The Billikens have lost to three teams I expect to finish toward or at the top of the conference: Rhode Island, GW and Davidson. Saint Joseph’s has two similar losses to GW and VCU but also fell at Duquesne. Both have looked somewhat competitive at times while looking downright awful at others. New kid on the block, Davidson, just drove this point home with a 35-point win over last year’s regular season champ SLU while SJU just fell by 15 at VCU in a game that, truth be told, was nowhere near that close. The Hawks are favored in two of their next three A-10 contests while kenpom likes SLU to win just one conference game this season. They join Fordham as the only winless teams so far in conference play. Of the seven leading scores in the Atlantic 10 right now, four are playing their first bit of action in the conference. 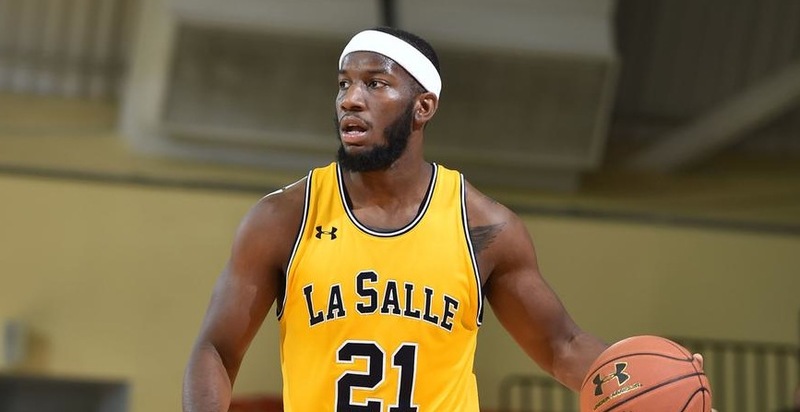 La Salle’s Jordan Price is in his first year of eligibility with the Explorers after transferring from Auburn and ranks second in the conference at 17.3 ppg. Davidson dynamic duo, Jack Gibbs and Tyler Kalinoski, are doing quite fine against the increased level of competition, ranking fourth (Gibbs, 16.6 ppg) and sixth (Kalinoski, 16.4) in scoring in the A-10 thus far. Fordham freshman, Eric Paschall, checks in at No.7 with his 16.3 ppg average. EC Matthews (17.4), Marcus Posley (16.9) and Trevon Graham (16.5) round out that top-7 for the old guard. Not sure why this surprised me, but of the top six assist men in the conference this season, THREE are Davidson Wildcats. Jack Gibbs leads the conference with 5.1 assists per game, Tyler Kalinoski ranks fourth with 3.9 and Brian Sullivan checks in at sixth at 3.6. All three average double-digit points and two are shooting 40% or better from distance. What a luxury. Throw in 6’4 guard Jordan Barham (11.1 ppg, 4.8 rpg) and you start to get why the Wildcats are going to be so tough to beat this season in A-10 play.